﻿ Best Price on Hotel La Catedral in Antigua Guatemala + Reviews! Just 1 block from La Antigua Cathedral, Hotel La Catedral is an authentic Spanish colonial house with a beautiful central garden. This charming hotel offers a restaurant, and free Wi-Fi. 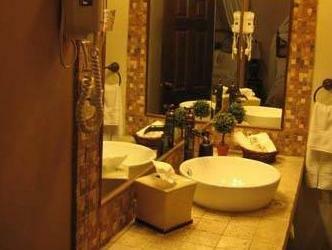 Hotel La Catedral’s elegant, individually decorated rooms offer a fan, safe and flat-screen cable TV with a DVD player. 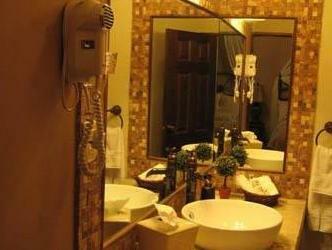 The designer bathrooms feature antique marble and include toiletries and a hairdryer. Hotel La Catedral has a 24-hour reception, where staff can arrange car hire or airport transfers on request. They are also happy to provide information about the city. 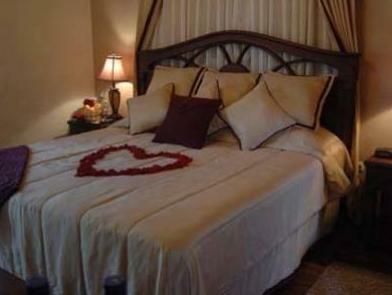 The hotel is located in the historic center of La Antigua Guatemala, a UNESCO World Heritage Site. Central Park is only 1 block away, and the surrounding streets are full of shops, cafés and restaurants. Please note that children under the age of 12 whom are staying free of charge don't have breakfast included.